This is Gud tutorial to providing solution on the technology. 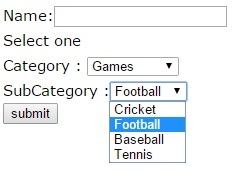 I'd like to make a relation between two drop down lists in the same form. Select the value in the second drop down list from the first selected value. Your examples are good. Easy to use. Thanks.